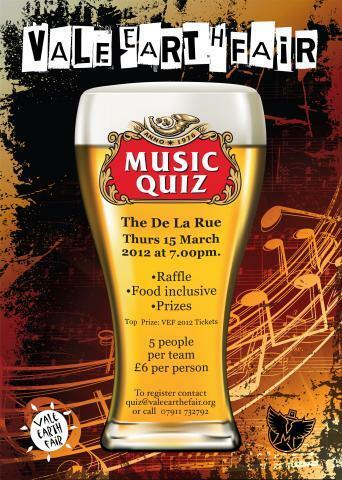 The annual Vale Earth Fair music quiz (OK, we missed last year, but hey-ho...) takes place on Thursday 15th march at the De La Rue. 7pm kick-off. The usual fun and games with Quizmaster Jim hosting the night. Teams of 5 at £6 a head, including some grub, with free Earth Fair tickets for the winners, plus other prizes and a raffle.